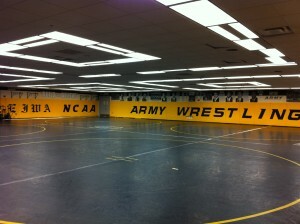 The NCAA website is providing outstanding coverage of the NCAA Division III Wrestling Championships this weekend. Click on the link below for access to both video coverage of the tournament as well as updated brackets. 2009 Port Jervis graduate JD Zitone is the #3 seed at 285 pounds. Zitone, who wrestles for Centenary College in New Jersey, is undefeated on the season sporting an impressive record of 26-0. Good luck JD! The PIAA wrestling tournament began on Thursday at the Giant Center in Hershey, PA and SectionIXWrestling.com will be will help you follow all of the action. Delaware Valley HS sent three wrestlers to Hershey and two have won their opening round matches. 170 pound senior Marc Wagner won his opening round match with a 9-4 victory over Chris Kurkian of Marple Newtown. At 182, Martin Strenk defeated Danny Hockensmith of Big Spring by a 3-1 margin. 126 pound senior CJ Palmer had the toughest opening round draw having to face Tyson Dippery (45-2) of Central Dauphin. Palmer gave Dippery all he could handle, however dropped a 2-0 decision and must now wrestle through the consolation bracket in order to place. Palmer won his first wrestle-back by an 11-0 score over Tyler Clapp of Strath Haven. Below are links to the brackets for both AAA and AA divisions; DV competes in the AAA division. Brackets for the Division 1 NCAA Wrestling Championships have been released and Section 9 is rather well represented. Below is a chart of the wrestlers with local ties who will be competing next week at the Scottrade Center in St. Louis, MO. I have also provided a link to the brackets for all 10 weight classes. The Friends of Section 9 will be hosting the 11th Annual Banquet of Champions on Sunday, March 11th at The Meadowbrook in New Windsor. Doors open at 5:00 and dinner will be served at 6:00. Anyone interested in attending must RSVP by Friday, March 9th. Please click below for the banquet flyer which has all reservation information. Franco, Stanley punch tickets to NCAAs!!! Congratulations to Jamie Franco (Monroe Woodbury, 2009) and Derek Stanley (Saugerties, 2008) for earning automatic births to the 2012 NCCA Division 1 Wrestling Championships. Franco, who wrestles at 133 for Hofstra, finished 2nd at the Colonial Athletic Association (CAA) tournament on Saturday. Stanley, who wrestles at 197 for Army, finished fifth in his conference tournament (EIWAs) to earn his pass to the NCAAs. Stanley’ s teammate Coleman Gracey, only a freshman, has also qualified for the nationals by finishing 3rd at 165. 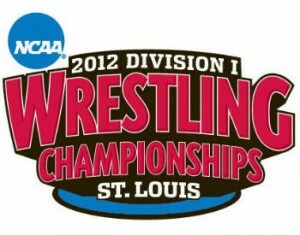 This year’s NCAA Championships are being held on March 15-17 at the Scottrade Center in St. Louis, MO. Also of local interest, Delaware Valley (PA) graduate Joe Kennedy, who wrestles at 197 for Lehigh, will be competing at the NCAA D1 tournament for the 3rd consecutive year. Congratulations to all three wrestlers….Section 9 will be rooting hard for you!!!! Posted on March 4, 2012 March 5, 2012 Author Mike CareyCategories UncategorizedTags college wrestling, NCAA wrestling, section 9 wrestling2 Comments on Franco, Stanley punch tickets to NCAAs!!! Warrior Elite in Otisville is offering a special 8-week course for the serious wrestler. They are holding a free open house on March 7th to show a sample of the intense training sessions. Classes begin on March 14th. You must pre-register for the open house. Click below for all of the information. Sad but true….the high school wrestling season has come to an end in NY. So I guess we’re just going to put our heads in the sand and wait until next year’s Section 9 Duals…..not!!!! There is plenty of regional wrestling still going on and SectionIXWrestling.com is going to be following it every step of the way! Let’s start in New Jersey were the state championship tournament is taking place this weekend in Atlantic City. Off the top of my head, I’m aware of 5 wrestlers from Kittatinny and 3 from High Point that are attending. Unfortunately I will not be attending the tournament personally but I am going to provide a link to the online arm of The Star Ledger. They do an outstanding job of providing developing stories, live updates as well as videos. Pennsylvania’s state tournament does not take place until next week in Hershey, PA. In order to qualify for the “big dance,” wrestlers need to finish in the top-3 of their respective regional tournaments which take place this weekend. Of local interest, Delaware Valley High School, located in Milford, PA, is sending 10 wrestlers to the Northeast Regional AAA Tournament in Allentown, PA. The brackets are set for this region so I will post them below. I am assuming they will be kept up-to-date. If not, I will search for another source to post.